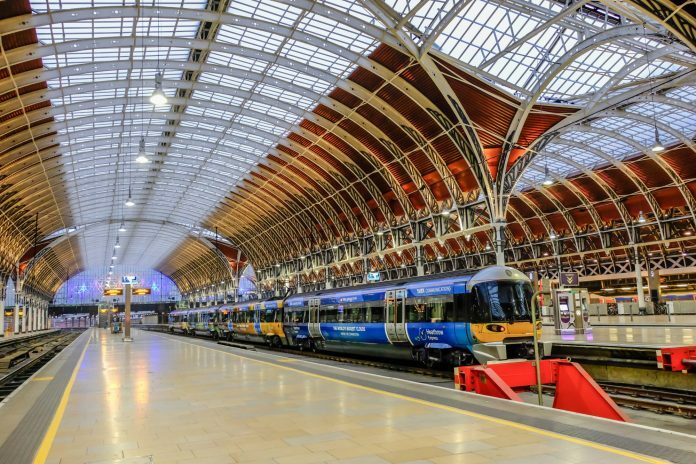 Great Western Railway (GWR) is to take over the operation of the Heathrow Express rail service later this year. GWR has reached an agreement with Heathrow and the Department for Transport (DfT) to run the Heathrow to London Paddington service until 2028. Although GWR will take over the day-to-day running of the service, Heathrow will retain control of activities such as marketing, ticket pricing and revenue. Heathrow will also still be responsible for managing stations at the airport. The management contract has effectively become part of the Great Western franchise and would transfer to any new operator to take over between now and 2028. Announcing the deal, FirstGroup, which owns GWR, said it would be introducing modified Class 387s to replace the Class 332s. As a result, it will scrap plans to move maintenance activities from Old Oak Common to a new depot in Langley, which had been required to maintain the Class 332 fleet beyond December 2019. From December 2019, the number of services from Heathrow into London will increase from 18 trains an hour to at least 22 trains an hour: 12 Piccadilly Line trains, six Elizabeth line trains and four Heathrow Express trains. Heathrow chief executive John Holland-Kaye said: “This agreement secures convenient and reliable public transport journeys to Heathrow in this decade and beyond. FirstGroup’s chief executive, Tim O’Toole, said: “Today’s agreement demonstrates the transport industry working in partnership for the benefit of passengers, allowing fast and convenient connections to continue on this crucial airport link.